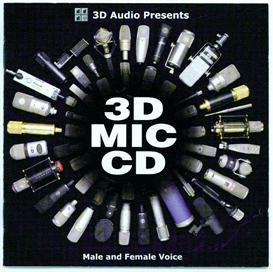 The 3D Mic CD features a female vocalist singing through 49 different vocal mics, ranging from a Shure SM57, worth under $100, to a Telefunken 251 worth over $20,000. 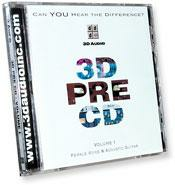 They will allow you to hear how great an influence mic can have on the sound of a recording. 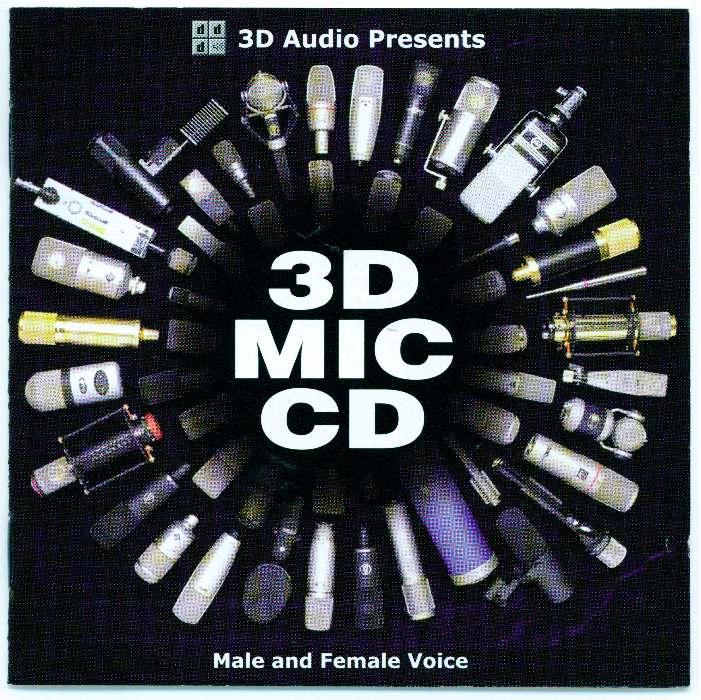 These high-resolution recordings were originally recorded at 24-bit, 88.2 kHz, and are offered here at 16-bit, 44.1 kHz to allow you to audition the largest collection of vocal mics ever assembled on female voice. 49 recordings of female voice present each mic in a precisely calibrated setting so you can hear the differences for yourself in your studio on your monitors. Is one mic worth 200 times as much as another? You listen and decide for yourself. This download includes artwork from the CD book, technical details of the testing, and the all-important key which identifies each mic: an invaluable resource for anyone who wants to learn more about microphones. Produced by Lynn Fuston.